Rip the Page! | Primary Planet! Hello friends! It is good to see you! Today I want to write about a book that I recently found. It is called Rip the Page by Karen Benke! This book is so much fun. 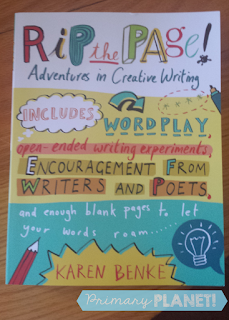 It has all kinds of fun and engaging (for lack of a better word) prompts to help get your creative writing juices flowing! It also has quotes and words of encouragement from famous writers such as Lemony Snicket and Patricia Polacco. I don't know about you, but when I teach Writer's Workshop I like to spend the first few minutes of our quiet writing time, well, writing. It sets a good example for the kiddos and then I have some writing already done for author's chair, or for our next day's minilesson. This book is going to be perfect for me to write in during this time. I am hoping that it will also help spark my student's imagination as they use the prompts with me! 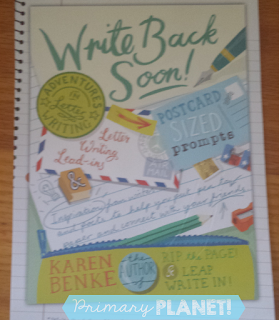 Karen Benke is also the author of Leap Write In! This book also looks like a lot of fun! Karen also has a new book coming out in September. This one is called Write Back Soon! This one is all about the lost art of letter writing! They are postcard sized prompts that encourage you to send real "snail mail". You can even tear out pages to send to friend. In this day and age getting real mail is a lot of fun. I can see using this in my classroom to get my students excited about using "snail mail". If you are interested in getting any of these wonderful books for yourself you can find them on Amazon or click on the pictures. Hi There! I'm Hilary. I am a teacher, BOYMOM, space cadet and maker of stuff. Welcome to my little piece of cyberspace! 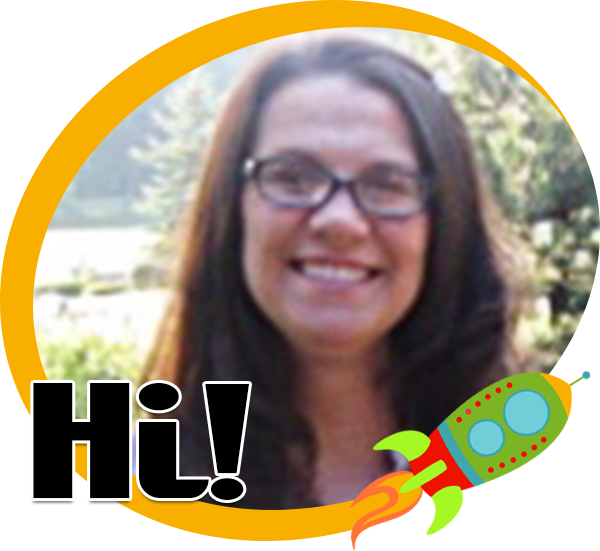 Subscribe to get great teacher ideas, tips, and best of all FREEBIES! Success! Now check your email to confirm your subscription and get your freebie! My Bullet Journal: One planner does it all (almost)! Charlie and the Curious Club: Candy or Medicine? and a giveaway! 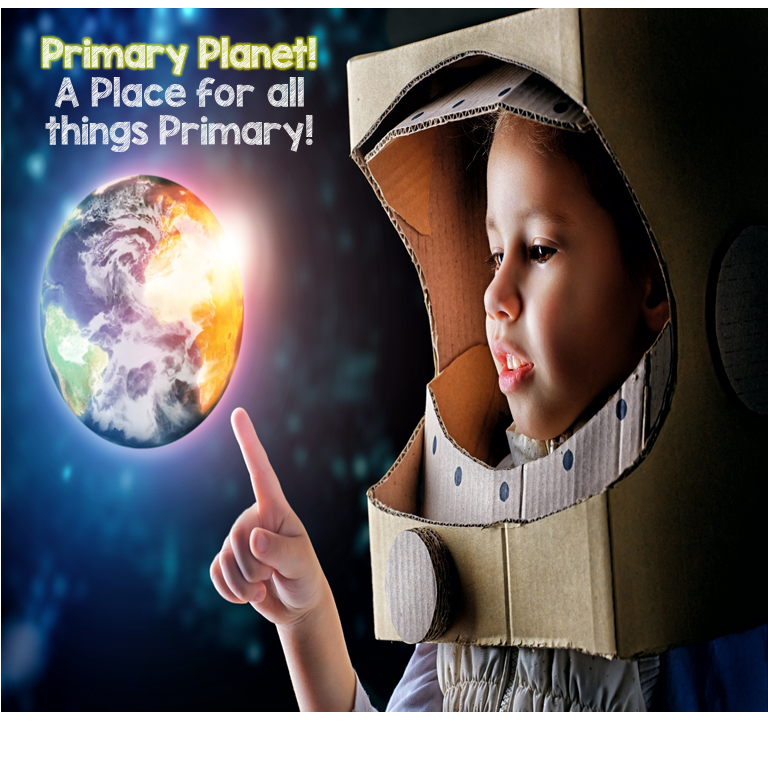 A place for all things Primary! Come and join the fun on Facebook!